Spring in LA? Time For Banging Julep Recipes. 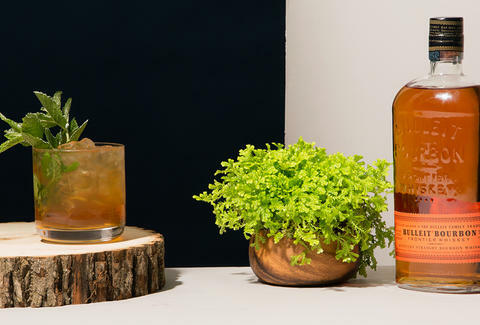 Just because it always feels like springtime in LA doesn't mean that we shouldn't mark the most wonderful time of the year -- and the Kentucky Derby -- with that seasonal essential, the mint julep. To get you the most lip-smacking recipe possible, we hit up Downtown bartender Mary Bartlett for a spin on the old standby. "Mint juleps are simple and classic," says Mary. "I tried to stay true to that, while bringing in a little spice and citrus. This julep has spicy, warm flavors but it's still a mint julep at heart." Measure cinnamon syrup and pour into serving glass. Add about 10 mint leaves. Add bourbon and amaro to mixture. Add pebble ice or crushed ice. Mix ice in using bar spoon and push mint back to the bottom of the glass. Top with additional ice so it's slightly above the top of the glass or tin. 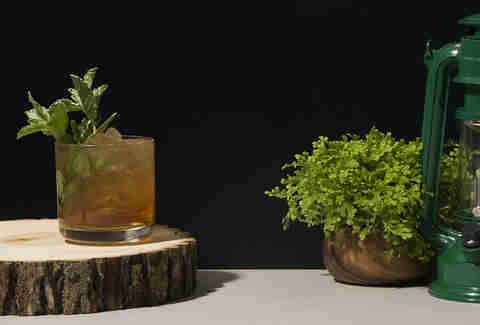 Add a hearty mint bouquet and straw. Lightly dust mint and ice with powdered sugar.